This article contains the list of 4 Star Craft Essences for Fate Grand Order/ FGO. We'll be updating this as soon as the game comes out. This article contains the list of 4 Star Craft Essences for Fate Grand Order/ FGO. We’ll be updating this as soon as the game comes out. These are the essences are a little more rare to find in comparison to their 1~3 ranked cousins. The common trait of a 4 Star Craft Essence is majority of them having better stats and also secondary effects. These secondary effects may prove to be beneficial in battle especially when a servant is in a pinch. These 4 Star Craft Essences often improve the performance of the command cards. However, there are also times that these craft essences also give secondary boosts that improve the stats of the servant. Some of these 4 Star Craft Essences vary in targets. Some of them only improve single units. Others affect the whole party. 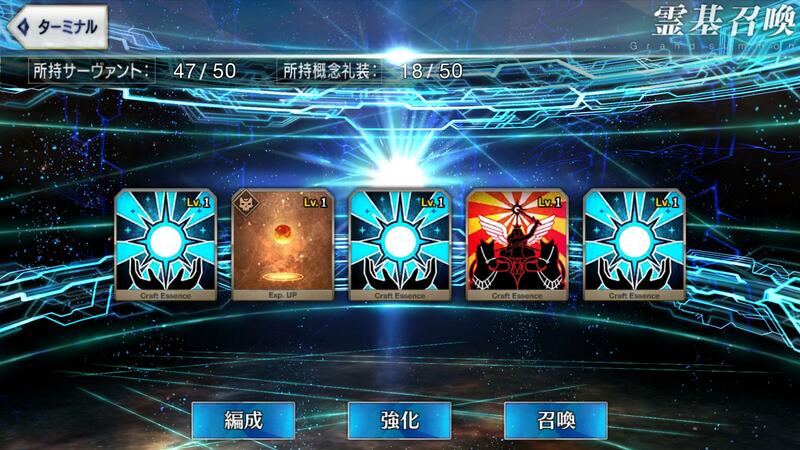 When using these 4 Star Craft Essences, make sure that your noble phantasm is worth boosting. Matching the proper craft essence to the noble phantasm is important especially when it comes to NP generation or NP damage. Some Noble Phantasms may be better with their Overcharge Effect rather than being used. The 4 Star Craft Essences under this category focus on amplifying the effects of a servant’s critical stars. These critical stars measure the probability of a servant landing a critical hit on an enemy. The 4 Star Craft Essences under this category focus on buffing an ally or debuffing an enemy. This can change the tides of battle, increasing survivability. Other times, this card works well when chained together with another craft essence. The 4 Star Craft Essences under this category focus on a variety of effects that cannot be classified through usual means. Majority of these craft essences involve increasing EXP gain or increase item drop amounts/rate. Other times, the essence increases the incoming QP. If one is trying to farm, these craft essences are useful.